Mobile Apps and Cars can do wonders together! Here are 10 must-have mobile apps for every car lover and driver. We would never advise you to use a smartphone while driving your car or bike. Also, the law doesn’t permit you the same. A mobile phone can be a reason behind a major accident claiming lives of innocent people on road. Many studies have revealed that using a mobile phone while driving is one of the biggest threats to human life traveling on the roads. Thanks to the technology and innovations, using a smartphone in your car has become safer and easier today. There are many mobile apps available around that offer many entertaining and communication capabilities without compromising your safety. These mobile apps not only entertain you, enhance your driving experience but also come as a savior in the time of need. Here are 10 must-have mobile apps for every car driver. The first mobile app on our list is none other than Google’s Android Auto. It is an advanced mobile app which allows you to synchronize your smartphone, its files, phonebook contacts and multimedia files with your car’s infotainment system. This advanced mobile app features a simplified and intuitive interface which allows you to use your phone safely while driving. Nowadays, most of the high-end premium cars come with an advanced in-built infotainment system that supports Android Auto by default. Thanks to the hands-free voice commands, Android Auto allows you to access your mobile phone apps, navigate, send messages, make calls, listen to music and do a lot more without a physical touch. There are many Android apps which are compatible with the Google’s in-car systems. Don’t worry if you own an Apple iPhone. Apple CarPlay is the best iPhone app for car lovers and drivers. It is an ultimate co-pilot of your car, which offers a host of advanced features with a simplified interface. Just like the Android Auto, the Apple CarPlay also allows you to synchronize your iPhone’s data, phonebook contacts, call logs, multimedia files, and a lot more with your car’s infotainment system. Apple CarPlay also supports Siri voice control feature, allowing you to control your infotainment system, listen to music, navigate to your destination, make or receive calls, send and receive text messages and do a lot more with voice commands. This allows the car driver to use his/her Apple iPhone in the safest way while driving. Google Maps is one of the best mapping service developed by the search engine giant Google. The engineers at Google have built a dedicated navigation app built on the Google Maps platform knows as Google Maps – Navigation & Transit. This advanced mobile app for cars features real-time GPS navigation, traffic, transit and details about millions of places of interests, which will help you a lot while exploring new places. You can get real-time updates on traffic situation with real-time navigation, get to know about public transport, access real-time transit info, save time with automatic re-routing based on live traffic, find a gas station, coffee shops, pharmacy stores and a lot more with this mobile app. If you own a Smartphone, you must download the Google Maps – Navigation and Transit app today. Here WeGo is one of the best offline GPS-navigation mobile app, which is available on both Android and iOS platform. Many industry experts also believe that Here WeGo is better than Google Maps in terms of simplified yet a better navigation interface. Earlier, this mobile app was available only on Nokia Lumia Smartphones running Windows Phone OS. However, it is now available on your Android and iOS smartphone as well. HERE WeGo allows you to download the map of a particular state, country or even the continent while being online, and use it later in offline mode as well. This feature allows car drivers to use this navigation app in areas with low or no network. With HERE WeGo, your smartphone will turn into a personal navigator. This mobile app also shares info on nearby places of interests and a lot more. Carcorder is a great mobile app that turns your smartphone’s rear camera into a capable dashcam. Car lovers always want to have a dashcam installed in their car. This mobile app allows the same without costing a bomb. All you need is an Apple iPhone and the Carcorder App, after which you can record your memorable road trips and upload them on YouTube later. The video clips recorded can also be used as evidence in the case of an accident. Once installed, you can choose between multiple resolutions, know your speed and also track your location through this mobile app. Dashdroid is an advanced mobile app for cars, which can also be termed as one of the best Android dashboard replacement. Dashdroid sports a simple yet intuitive central display which present a host of information in front of you. It shows your phonebook contacts, maps, weather information, your current speed, current time and a lot more in a simple interface minimizing any potential risk. You can use this mobile app to block texts and/or phone calls and send automated replies without touching your smartphone. It also accepts voice commands. Autoportal is one of the best mobile apps for car lovers and drivers, which serves them a variety of content on a single touch. This mobile app allows the car lovers to stay updated with the latest happenings around the automobile industry on their smartphone. This mobile app is available for free download on both Android and iOS platform. A car lover can get latest auto news & updates, compare cars & bike, read latest car reviews, get an advice, tips, car guidance, and find the best car in their budget. Not only this, but Autoportal also redefines the way of buying and selling cars. It brings you a rich catalog of new and upcoming cars so that you can know every detail of your dream car on a single touch. 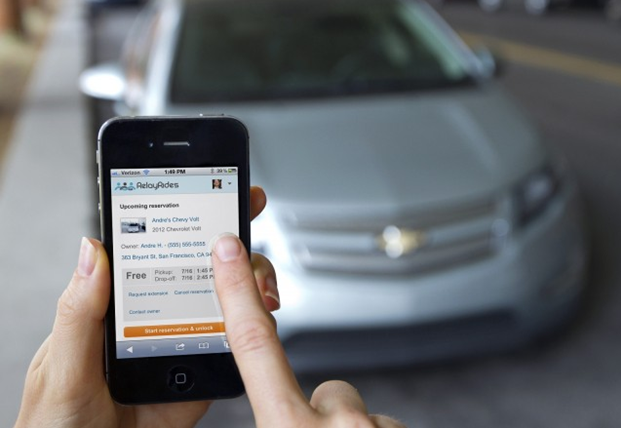 Also, you can sell your old car without any hassle through the Autoportal App. Playing your favorite music while driving is always a fun! While driving alone, with family or with someone special, good music will always be appreciated. For all your musical needs on-the-go, the Saavn is the best music streaming app you can download today. Available on Google Android, Apple iTunes, and Windows Phone platform, the Saavn app allows you to stream music through a wealthy library of music from 14 languages. You can choose between old classics, devotional, rock, jazz or latest rap, Saavn can play whatever you desire for while driving. Just connect your smartphone to your infotainment system, and Saavn will become your personal DJ in the car. It is always advisable to have a car hire or taxi service mobile app on your smartphone. These services can be a savior when your car has a breakdown or a puncture and no mechanic or service station is available around, or the time doesn’t favor the same. You can have backup plan to reach your home or destination by booking a taxi. There are various car/taxi hiring services available around. However, Ola and Uber are the leaders in this segment. Planning to buy a second-hand car or bike? Or are you planning to sell your existing car before buying your next dream car? OLX and Quikr are free mobile apps which allow you to post and go through classified ads belonging to many categories. You can post your car’s selling ad for free of cost, and a potential buyer can go through the car’s details with an ease. You can also sell/buy car’s accessories on your own terms. You don’t have to pay any commission to these sites on a successful buying or selling. Both these mobile apps are really great when you are planning to buy/sell second-hand cars, bikes or accessories. Which mobile app out of these 10 is on your smartphone right now? Or do you think we missed an important app? Share your thoughts and comments in the section given below. Happy & Safe Driving!